The Square-In-Square Blocks Can be Used in Many Projects! 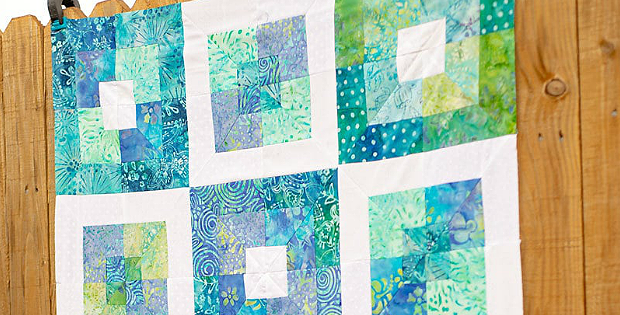 Pretty batiks in fresh colors are simply wonderful in this quilt. However, the quilt will be lovely in just about any color combo, as well as fabric styles, so have fun deciding how you’ll make your own. The blocks are created from strip sets, making for simple construction. Combine as many blocks as you need to make the size quilt you want. 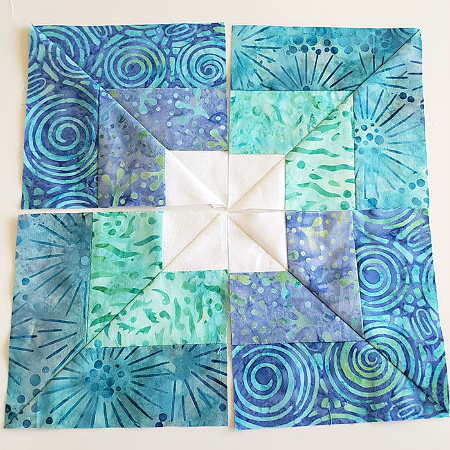 You can achieve many different “looks” depending on how you combine 2 1/2″ jelly roll strips and the resulting triangle units. Be aware of values and use them to create your own unique design. The Square-in-Square blocks can be combined for other projects, as well. We can easily imagine a table runner or square table topper made from them. Finished dimensions are not provided by the designer, Jamie Sanders. However, the pictured quilt appears to be about 36″ x 48″. 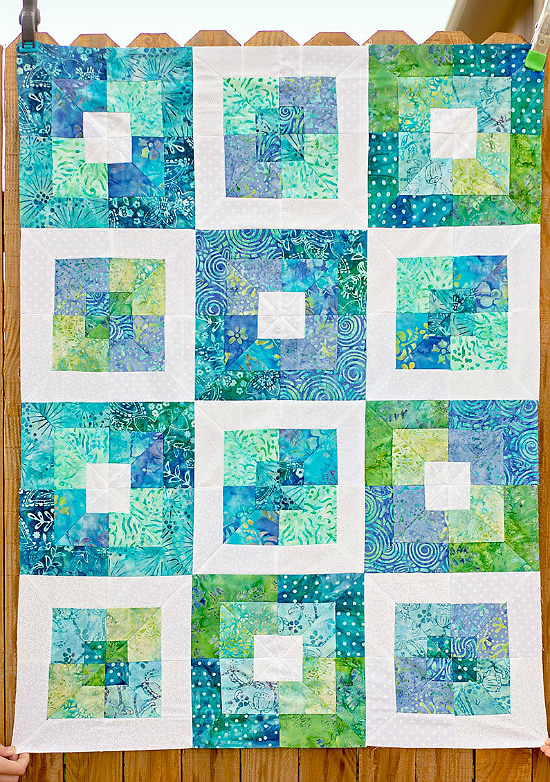 Click here for the free “Seaside Quilt” tutorial.